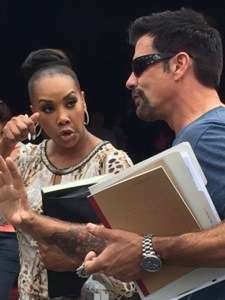 Breaking news: Vivica Fox spotted in Universal Studios Florida for Celebrity Apprentice! Hey guys! 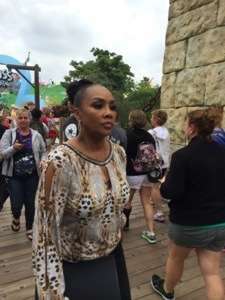 Orlando Fun and Food is at Universal Studios Island of Adventure and spotted signs everywhere that I was in a film area… Just so happened that Vivica Fox walked up behind me and they started filming for the new season of Celebrity Apprentice! She is walking around with a huge film crew and Universal Executives!!! Look out for me as I may be on TV!! !